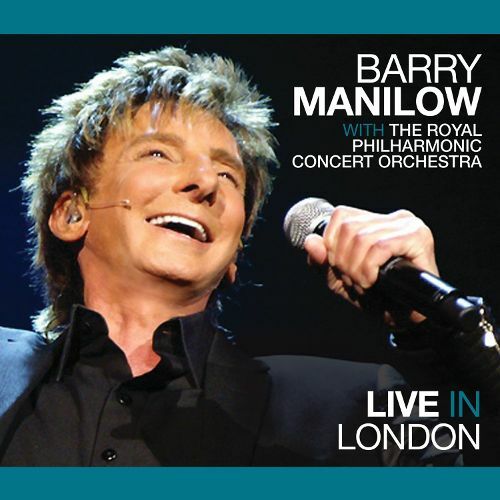 Featuring Barry’s greatest hits LIVE at The O2 Arena in London, England from 04-07 May 2011. UK Release includes “Stay [3:51]”, “Bermuda Triangle [3:38]” and “Sandra [5:37]” in place of US Release’s “Talk To Me”. Germany Release is entitled “Forever and Beyond” and includes Barry Manilow’s 2011 CD 15 Minutes in its entirety as Disk 1. Disk 2, Live in London, includes “Bermuda Triangle” (Live in London), “Mandy” (Alex Christensen’s Radio Edit), “Copacabana (At The Copa) (Bonus Mix)” and “Can’t Smile Without You (Alex Christensen’s Radio Edit)” in place of US Release’s “Bring On Tomorrow (Live in London)”, “The Best Seat In The House (Live in London)”, “Talk To Me (Live in London)”, “Copacabana (At The Copa) (Live in London)” and “Old Friends/Forever And A Day (Live in London)”. US and UK Releases include Live in London DVD as part of the CD/DVD Deluxe Edition. German Release Live in London DVD sold separately from 2CD Forever and Beyond as “Live in London: Forever and Beyond” DVD.